Zionist Union Chairman tweets during Sabbath about traveling by public transportation to beach; angry responses from some haredi MKs. Zionist Union Chairman Avi Gabbay tweeted over Shabbat about a trip to the beach he made via an "alternative public transportation" system. In the afternoon, Gabbay wrote: "I'm now joining the families and young people waiting for the 'Yambus' in Be'er Sheva - a great organization for public transport on Shabbat, as it should be! Destination: Ashkelon beach". After arriving in Ashkelon, Gabbay tweeted once more: "We arrived at the destination: Ashkelon beach, with public transportation, on Shabbat, as it should be anywhere in the country, but under the auspices of the State and not through private organizations of citizens. "Every child who wants to travel with friends to the beach, anyone who can't afford a private car, deserves quality public transport on Shabbat," Gabbay added. "It's one of the central issues we'll advance." Haredi parties did not appreciate the gambit. Deputy Minister Ya'akov Litzman (UTJ) attacked Gabbay and hinted at damage to the possibility of future cooperation between him and the haredi parties. "This is a serious act that contains public affront to the sanctity of the Sabbath in public. Mr. Gabbay continues with a series of political errors that present his leadership in great doubt for the future," Litzman said. Deputy Minister Meir Porush (UTJ) also attacked Gabbay: "It's time to say enough to trampling the Sabbath. It's time for politicians to understand that Shabbat is a far more sublime and holy concept than building a political career or trying to catch up in the polls. Shabbat is the most precious thing to the Jewish people, and any violation of it is tantamount to harming every Jew. It's a pity Mr. Gabbay is betting on the honor of the Sabbath, bringing with his own hands failure uopn himself and his party." MK Yinon Azulai of Shas joined the condemnation. 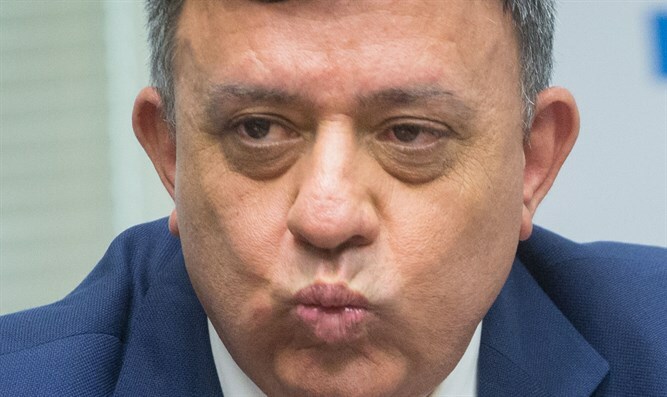 "Avi Gabbay sees the gloomy polls and apparently forgets what it is to be a Jew - to gather votes at the expense of the Sabbath is a tried and unsuccessful method," Azulai said.